Hi dear students. I am Teacher Anj. You know, some people have studied English for years but they are unhappy because they were not able to reach their goals. They continue to experience the difficulties in English conversation fluency. Here, I help students overcome their fear of learning and speaking English and build their confidence. I have this distinct passion in teaching English. In class, I exert extra effort to make the learning fun and valuable. "Teacher Anj got her Bachelors degree in Commerce major in Finance. She is also a host and a wedding singer at the same time. Her hobbies are singing, cooking, watching movies and reading books. 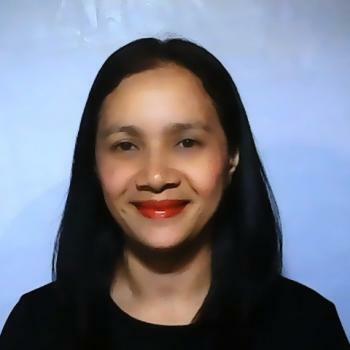 She has been a call center agent and an accounting manager in her previous jobs. She wants to become an ESL teacher because she would like to share her knowledge to other people. She is clever and a good listener. She will be best suited for beginners and intermediate level students"
She is very kind of teacher always! Of cause I will take your class again.